Yes, I am Canadian (I wish that phrase, 'I Am Canadian', didn't stir up memories, for me, of an old beer commercial with jingoistic overtones) and I have found yet another Canadian talent worth sharing with you (the last one being Dark Mean). 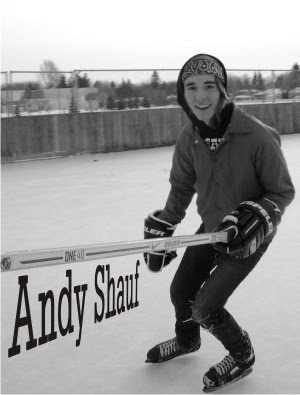 Andy Shauf makes his home in western Canada, in the city of Regina, Saskatchewan, where he has nurtured a talent for clear-eyed intimate pop. Darker Days is his latest release, a full length on P is For Panda Records, and it is surprising to me that I've never heard mention of his name or music until now. His songs bear the shadows of his influences (he is a young guy, who appears to me, even younger in photographs) and yet they still manage to sparkle with his own personality. Vocally Shauf has a charming inflection, a timbre perhaps, which almost recalls a drawl, it also brings to mind singer/songwriter Josh Rouse in it's quieter moments. I can also hear the critically acclaimed Luke Temple in a song like the third track "You Remind Me". Highly recommended.